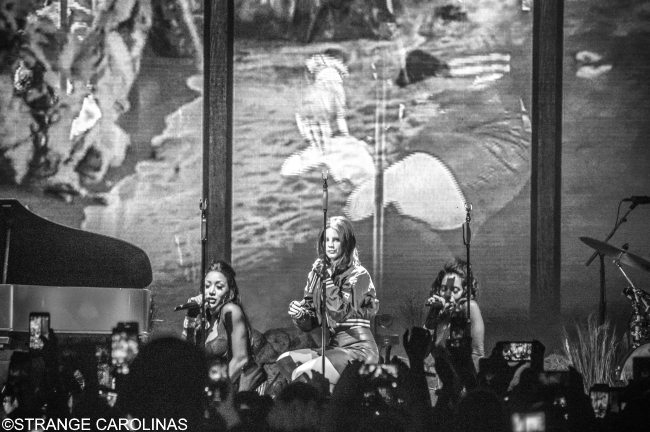 I've never seen her live before, but the Lana Del Rey show in Charlotte on January 30th felt special -- she seemed to connect with the audience on a very personal level. Lana Del Rey is sultry and beachy, old-fashioned and current. 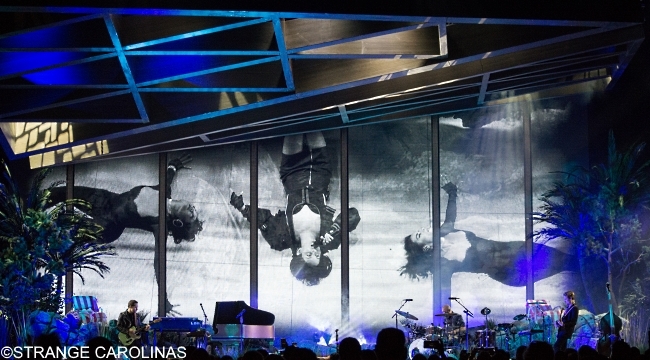 After she and her background singers uniquely performed "Pretty When You Cry" lying down, out of the view of the audience, they arose and segued into a medley of "Cherry" and Simon & Garfunkel's "Scarborough Fair." 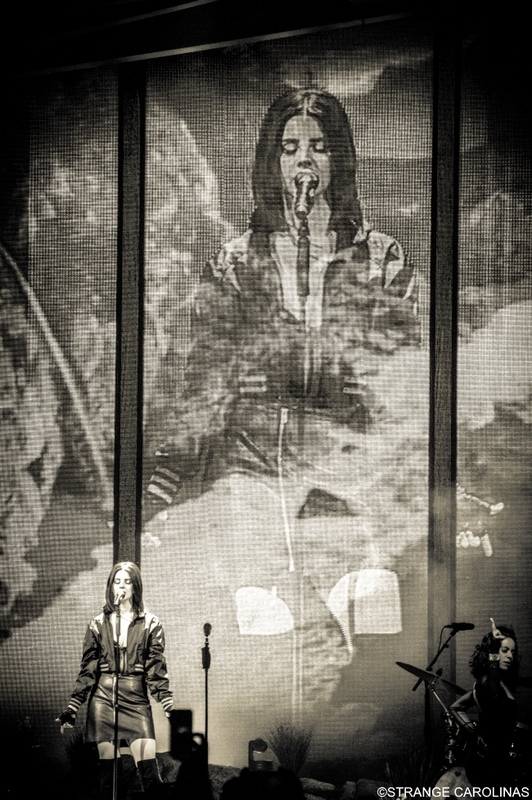 Playing against a backdrop of rocks and palm trees while the video screen behind her alternated between showing Del Rey and the sea and sometimes both, Lana had the crowd in her palm from the opening song. 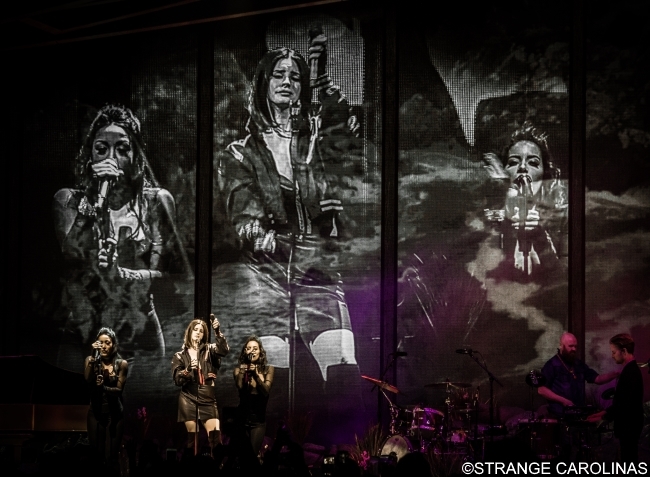 Along the way, Lana Del Rey performed fan favorites like "Blue Jeans," "Video Games, "Summertime Sadness," and "Off To The Races." She performed deep cuts and even took requests, performing "Heroin" at the crowd's request and letting them take the lead when she forgot the words. Lana Del Rey even stopped the show three-quarters of the way through for a good ten minutes to take selfies with fans. They showered her with flowers, tokens of their affection, and their undying love. 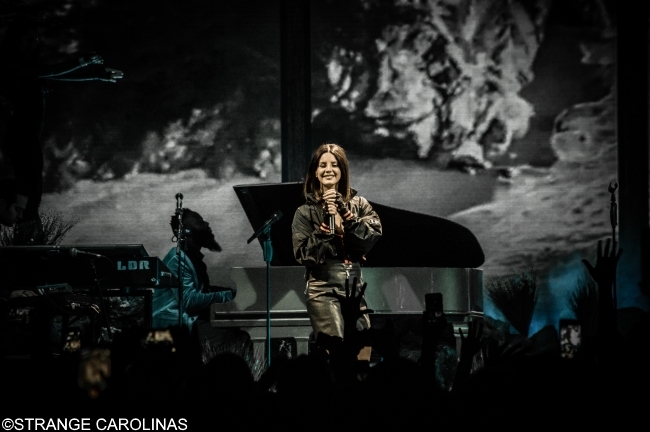 Lana Del Rey briefly addressed the Radiohead controversy surrounding "Get Free" before performing the song and ended the show with "Off To The Races." If you get the chance, you should definitely check her out on the LA To The Moon tour.